Fernandina Beach is the major city on Amelia Island which is situated on the Atlantic Coast of Florida, north of Jacksonville by about 30 miles. The island is the northernmost of Florida's Atlantic barrier islands and sits across Cumberland Sound, south of the Cumberland Islands in Georgia. 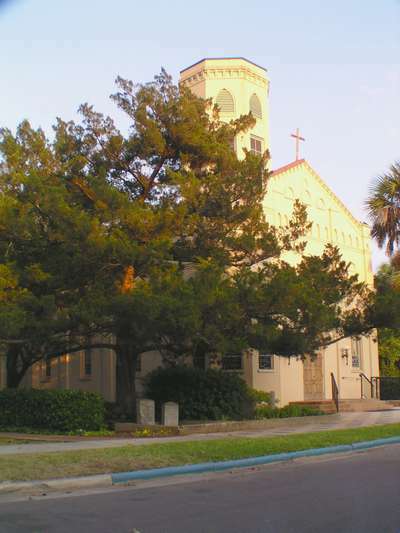 Fernandina Beach's population is around 10,000 people with the inflow of tourists increasing the total significantly. 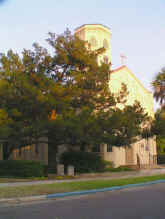 Fernandina Beach has a Historic District as well as an "old town". The historic area has many structures built in the late 1800's or early 1900's. The old town is the site of the original settlement - named Fernandina - and sits on bluffs above the Amelia River. There is an Amelia Island Lighthouse but it is currently closed to the public. Downtown in the historic area you will also find a marina with a floating dock. East of downtown you can find the entrance to Fort Clinch State Park and the old fort, currently under restoration. Of course, there are miles of beaches here, too. Visitors to Fernandina Beach on Amelia Island, Florida can tour many local cities by car. Jacksonville, Yulee, Mayport and the beach towns of Jacksonville Beach, Atlantic Beach and Neptune Beach are all within a 30-45 minute ride. The historic city of St. Augustine is about an hour away and Daytona Beach about 90 minutes. This area can be accessed best by aircraft from the Jacksonville International Airport (30 minutes). More information on Fernandina Beach and the surrounding area including some attractions and activities can be reviewed. Pineapple Patch Clothing Company. View of downtown street. This beautiful downtown area has shady streets, brick walkways and picturesque rest areas. Post Office downtown. Corner of Centre St. and Front Street. The famous Palace Saloon. Sidewalk shops. Front St. along railroad tracks. View up Centre St. Downtown church. US Customs office. Phelan-Verot House was built prior to 1866. These beautiful old houses (above and below) grace the outskirts of the historic downtown commercial area. 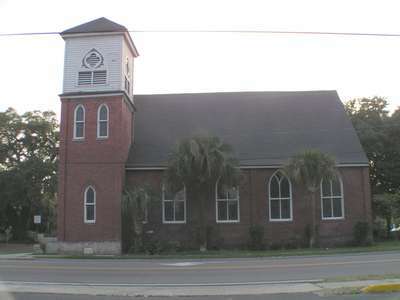 The "old town" was Fernandina and sat on bluffs along the Amelia River. Many older houses, restored or not, (pictured above and below) still stand. Houses near Plaza San Carlos. Up river view of the port facilities of Fernandina Beach. Fernandina Beach houses (pictured above and not "on the beach") in dense shade from old trees. Fernandina Beach house. The lighthouse in Fernandina Beach is closed to the public. This house resembles a boat. Residential streets in Fernandina Beach. 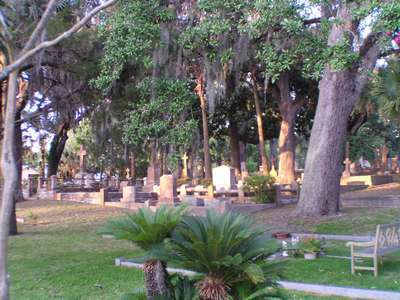 Cemeteries in Fernandina Beach include Bosque Bello where civil war veterans rest. View of Tiger Point Marina. New public boat ramp. View of Fernandina Harbor Marina. Wonderful views from the Marina Harbor Restaurant. Walkway along Marina Harbor Restaurant. Floating docks keep up with the large tidal swings but boats can end up in the mud (upper left) at low tide. Dunes in the north-central Fernandina Beach Area "Walkovers" at Fernandina Beach. 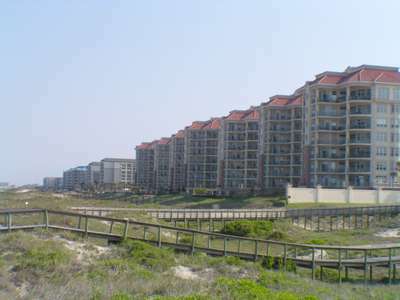 Beach houses built high on the dunes. Fernandina Beach Condos. View south along Fernandina Beach. Public pier. Public beach access areas. Beach access at dusk. Sunsets in Fernandina Harbor. The restored Nassau County Courthouse. Evening sailboat cruises. St. Michael's Catholic Church built pre-1900.